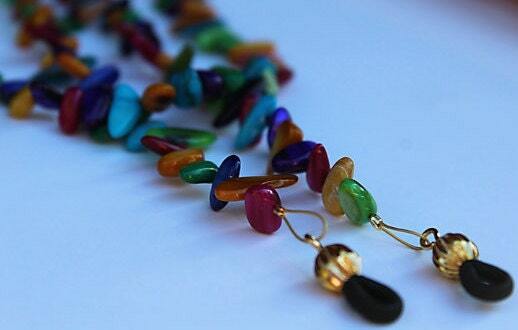 If you like bright, bold, colorful and fun...this eyeglass chain is for you! 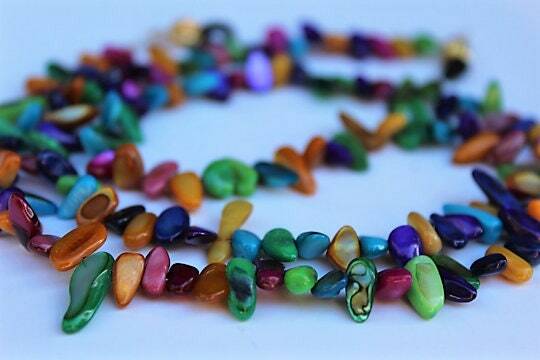 It was made using dyed mother-of-pearl shell beads. 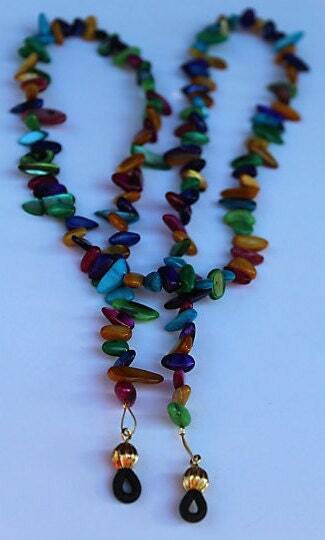 The beads in this chain will turn and spin freely to add a an element of shine as they are hit by light. The entire eyeglass chain measures approximately 28 or 29 inches (you choose at checkout). If you need a different length, please ask. 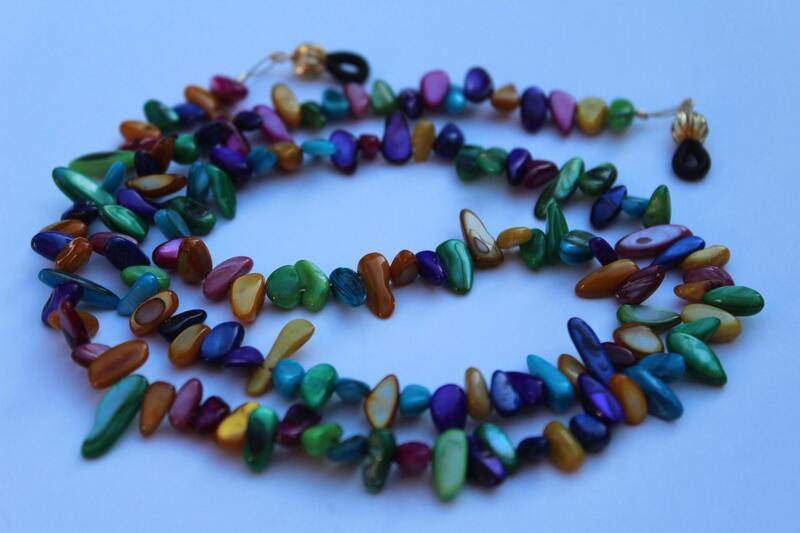 Often, the colors used in this eyeglass chain are referred to as "fiesta colors" because they are deep, bright, and fun! Sounds like the perfect accessory! Wonderful and very fun! Super fast shipment, perfect place to shop. Thank you very very much!